Today a French company: LUTTI. This company is specialist in other products than gum. They make hard and soft candy, jellies, marshmallow and chocolate. They employ about 500 people and have two factory locations, one in France (near Lille) and one in Belgium. Nowadays it is owned by KATJES, a German company, since 2009. LUTTI was founded in 1889 (!) so it is probably one of the oldest companies that I comment in this web. Even if chewing gum might not be the core business of Lutti, they have some very special and interesting products: Gum in tube, roll up (tape gum) and spaghetti gum. All of them are bubble gum type and really out of the most common cut & wrap or hollow balls (which are the most common presentations for bubble gum). This is what makes LUTTI so special. 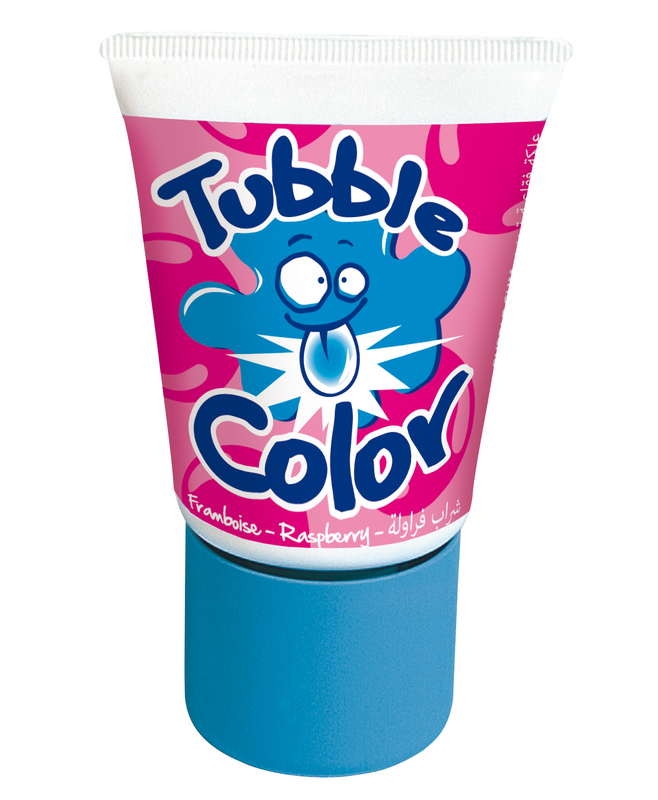 The novelties in ISM were a tube gum (branded as “TUBBLE COLOR”) that paints the tongue of the user in blue. Honestly, I’ve seen in the past bubble gums that leave a blue tongue, but not recently! So, once more, LUTTI adventures into a field which is outside the standard. 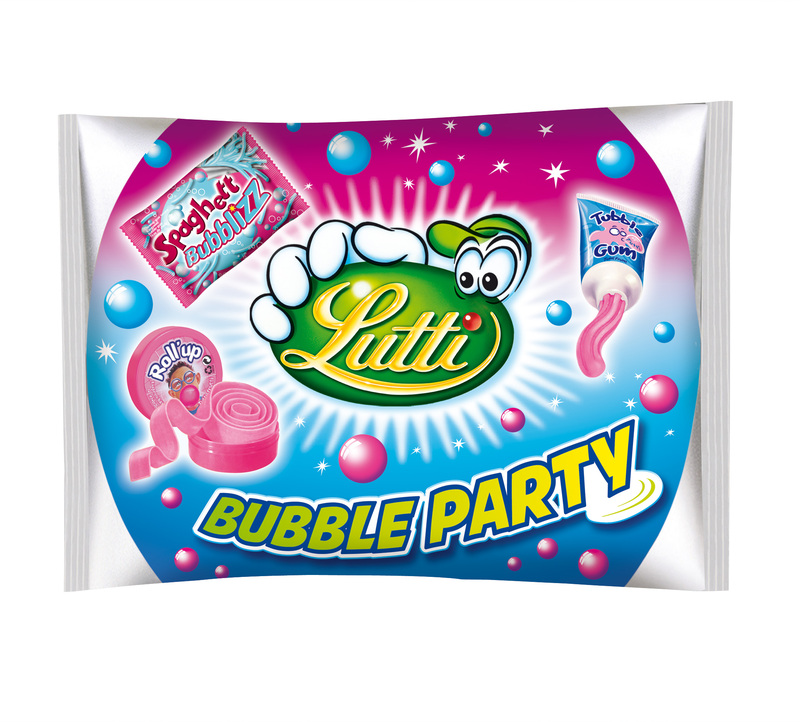 They also launched “BUBBLE PARTY”, which is an assortment of products.